Disclaimer: I received the Rudy Project Sterling Fluo Helmet to review as part of being a BibRave Pro. Learn more about becoming a BibRave Pro (ambassador), and check out BibRave.com to review find and write race reviews! So excited for cooler weather! 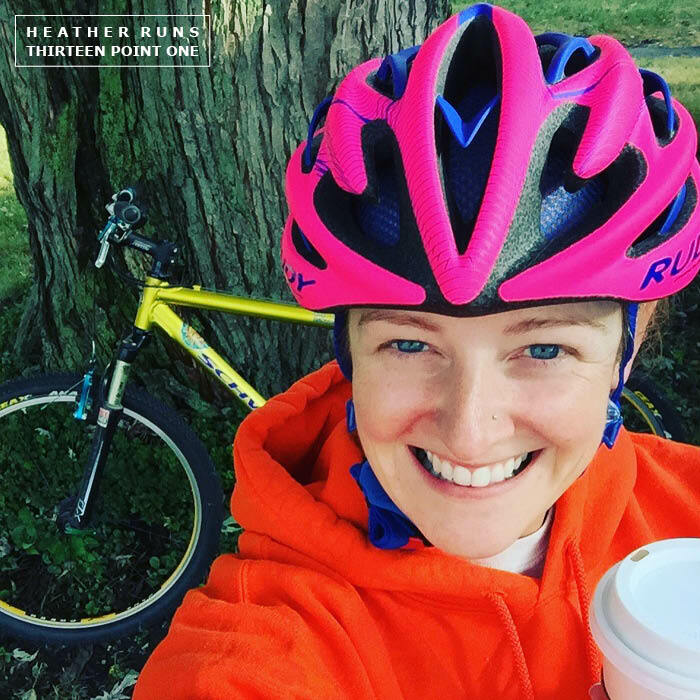 Bike rides, sweatshirts, and PSL! For years my husband has been trying to persuade me into registering for a triathlon. There have been a lot of excuses as to why I have said no, but not being a competitive cyclist in one of them. I feel like now I can't use that excuse, as I have the most amazing helmet in the market and it gets me maybe 1/3 of the way towards being more serious about cycling. As of now, however, I am more of a leisurely biker. I don't even like using the term cyclist because to me that means someone who is speedy on their bike haha, and that's not me. I like to take my bike out for flat, slow rides around the neighborhood or on local paved trails. I'll be honest and say I hadn't gotten my bike out of the garage in... oh a few years. 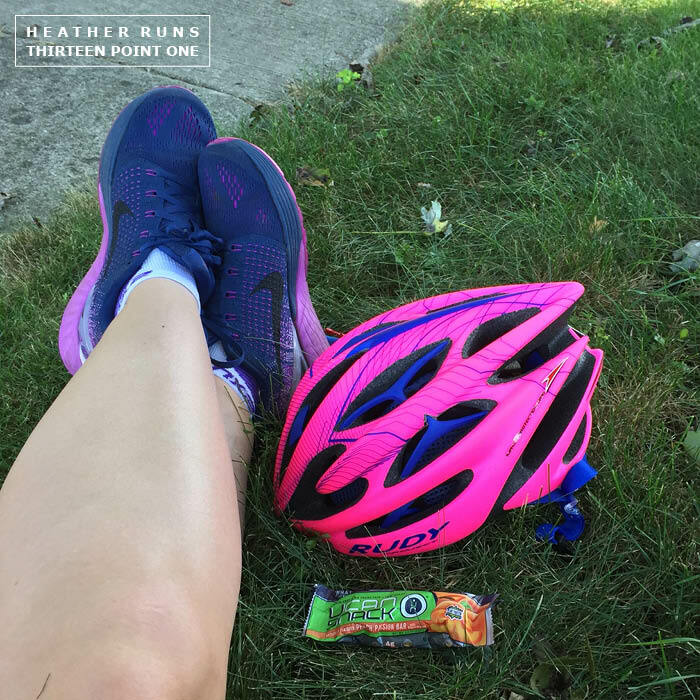 I know cross training is important, but I've never really taken the time to add it to my schedule as I do with running and strength training. 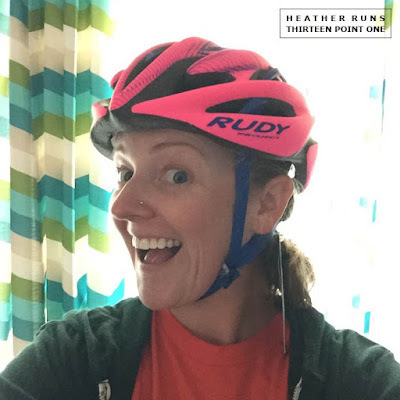 Having the opportunity to test out the Rudy Project Sterling Fluo Helmet helped change that, because now I have a helmet I trust to actually keep me safe (and SEEN - it's so bright and amazing). Initial try on. I was so excited and anxious I didn't even take off the tags haha. I've never tried on a helmet that was so light-weight and comfortable. I have a smaller head (and often can't get caps to fit well even on the smallest setting), so I was surprised how I could adjust this helmet to fit perfectly. There's a comfort ring and retention system in the back that allows you to adjust the helmet to your head – whatever size it might be. I'll also mention that you have your choice of helmet sizes: Small/Medium or Large. I of course went with the Small/Medium with my child sized head haha. I never really think about my head being or feeling small until I put on hats or helmets haha. 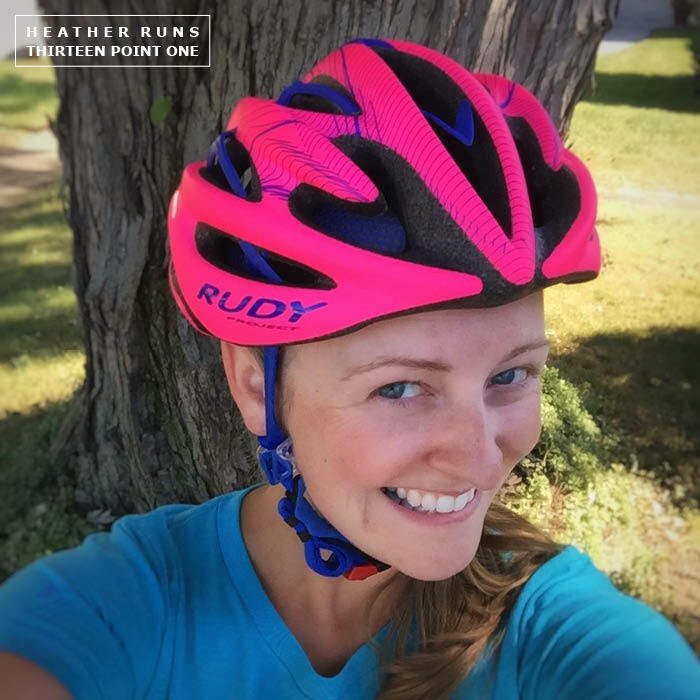 I'm so glad that this Rudy Project Sterling Fluo Helmet doesn't make me feel like a little kid haha. Even on a warm or hot day, my head is able to stay cool thanks to all of the vents in this helmet. 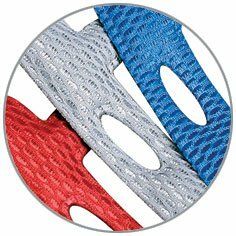 It's also able to stay bug free when you have the bug net padding. I felt no need to take that out for riding, though I did take it off just to see how it all worked (for testing and research purposes). It was very easy to do. The Rudy Project Sterling was designed with the aid of an Italian hat craftsman to provide the upmost in comfort & safety. 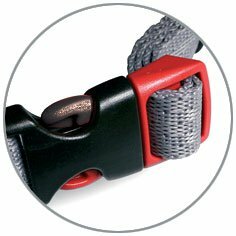 18 vents assure you’re properly cooled while the RSR7 retention system provides on-the-fly, single-handed adjustment. The Sterling is available in number of bright Fluo colors and comes with a removable bug net and visor. Blue and Pink are my favorite. I love that this helmet is so versatile. 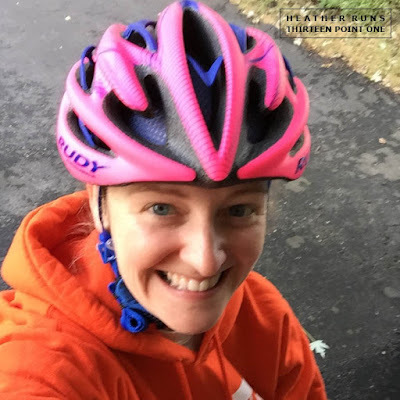 It can be used by cyclists who are on the slower side, who prefer to go for leisurely bike rides (like me at this point in time), or for the serious cyclists, who take part in Ironman competitions (like our own BibRave Pro Jessica who took on Ironman Chattanooga like a boss! She's a BA!). It works for everyone, for whatever cycling life you live. Fast. Slow. Leisurely. Trails. Road. I also love all of the colors. I had a hard time choosing which was my number one preference, but went with Pink/Blue because that's two of my favorite colors. Mainly I debated between that and the green. The bright color options are: pink, green, orange, and yellow. They are SO very bright (and to me fun), but that also means SAFETY. 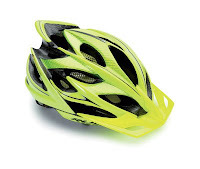 The bright colors = high visibility to drivers, cyclists, and/or runners. Interested in this helmet? Go over to this Rudy page and enter your name and email address – you'll receive 25% off your first purchase and be the first to know about their killer Black Friday, Cyber Monday, and other Holiday deals. Love the pink color (good choice). Nice review! I have not bent to the triathlon pressure - not sure I can handle three activities - but you certainly look the part now! Thanks! I love it too :) Ahhh thanks - it'll take some time before I do any actual races, but I wouldn't mind giving it a go at some point.